Was Angel the last classic perfume? Well, that’s one way to get a perfume blogger’s attention! First, I have to say that I’m genuinely impressed that Malle didn’t follow up that quote with “…except, of course, for my perfume line, available at Frederic Malle boutiques and select Barney’s stores.” That’s totally where I thought he was going with that. I can definitely understand why Malle would make such a bold (and frankly aggressive) statement. 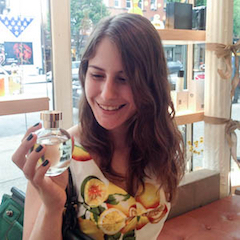 Those modern fruitchouli eau fraiche noir perfumes could drive anyone to hyperbole. I just don’t think he’s right. Not one classic in 20 years?? What about the thrillingly wacky L’Artisan Dzing!, created in 1999? Or the rubbery vanilla of Bvlgari Black, released in 1998? I’m pretty neutral on 2003’s Narciso Rodriguez EDT, but there’s no denying that its juxtaposition of white flowers with Egyptian musk inspired a major trend for musky florals. And don’t even try to tell me that we won’t be calling Ormonde Jayne Ormonde Woman (2002) a classic 20 years from now. What do you think of Malle’s statement? Do you consider any perfumes from the last two decades to be classics, or did great perfumery really end with Angel? Just went to read the rest of the article, and it’s all about his disdain for cheap, skeletal fragrances put out on the mainstream market and relying on advertisement rather than smell for sales. So in that context, I tend to agree – who’s going to even *find* the gems among the billions of Dumpster-loads of dreck, and then repurchase and repurchase and wear and wear in enough numbers so that the scent becomes a classic? I suppose it all depends on what your definition of “classic” is. Mine would be something like, “a fragrance widely distributed and sold, and beloved by at least a generation, that continues on to the next generation.” Ergo, classics in my book would be scents like No. 5 and Shalimar and Arpege and Fracas and Miss Dior. And, I suppose (heavy reluctant sigh, because I cannot abide the stuff), Angel. So while Dzing! and B Black are very good perfumes, with a broad appeal, I’m not quite sure they’re classics. Dzing! is pretty hard to find except online, and I’ve heard that Black is too. And NR for Her I have never ever smelled. Though that might be due to where I live; you can’t get it here. Coco Mademoiselle is pretty ubiquitous here. I don’t love it, and it isn’t the first of its kind (prominent florals over patchouli-heavy base), but I guarantee you it won’t go away anytime soon. Elisa from The French Exit immediately suggested Coco Mademoiselle on Twitter, too! Whether we like it or not, it’s a classic, I guess. Your points about the availability of my potential classics is so interesting, Mals- one would think that, since the internet allows more people to experience perfumes much more easily than in the past, we would have MORE classics these days rather than less. But it doesn’t seem to have worked out that way so far! More thoughts: I don’t think Angel is the last thing that will become such a staple of the scented atmosphere. There may be something come along that’s new and different and grabs the imagination of people all over the world. it could happen. I do think, however, that it would almost HAVE to be a mainstream scent, or something with at least wide distribution. And perhaps M. Malle is right, because most mainstream companies seem to have such a cheesy attitude toward the perfume they sell, and the people they sell it to, that it’s hard to imagine a bold and distinctive fragrance that’s available all over the world and hasn’t been focus-grouped to death. Okay, now I’m depressed. Think I’ll go huff some Carnal Flower now. SHE’S BACK ON THE CARNAL FLOWER, EVERYONE!! I imagine that it’s ridiculously hard not to become jaded when working in the perfume industry! Personally, I’m hoping to get all of my cynicism over and done with before entering the industry 😉 And if Bvlgari would work as hard to promote Black as they did that boring Jasmin Noir, there’s no WAY it wouldn’t return to classic status. I agree with Mals on this one – there is a difference between classic and great perfume. There is plenty of great perfume out there, but a lot of it is very hard to find and not known to non-perfumistas or very rich folks who frequent Chanel and Hermes boutiques, etc. I think a classic has to have some staying power and be widely available. Black is at Sephora, so that is closer, but I don’t think it is popular enough to be classic. I certainly had never heard of it before I started reading the blgos. Not sure I agree that Angel is the last classic, but can’t come up with another one at the moment. It certainly still is ubiquitous – had a party this weekend and a girl was drenched in it. In August! It was a bit much. Very true! There are many great perfumes that will never become classics. And you are being very diplomatic with “a bit much”- Angel in August sounds absolutely unbearable! Does that then count as classic, everyone got on the bandwagon, it changed fragrance. It all depends on one’s definition of classic! If classic means “influential”, then the first beachy perfume was clearly a classic. If it means “timeless”, as some other commenters have suggested, then I’m less sure. Are beachy scents timeless, since sunscreen and sun oils are a smell that earlier generations never had? We will see in twenty years time, though neither of us knowing the first is a problem. Did you get the card? I’m not so sure there’s a difference between “classic” and “great” as the words apply to perfumery, but maybe that’s just a semantic argument here. In short, it doesn’t sound like Mr. Malle thought his comments through. I’m pretty sure Chinatown is a “new” classic. I think I agree with some of the commenters above- “classics” should be relatively well-known perfumes. So I guess I’d classify Chinatown (one of my favorites!) as a great perfume, but not necessarily a classic. I do wish Mr. Malle had clarified what he meant a little! I look at the word “classic” as something that will always be in fashion, even if it’s out of “vogue” at the current moment, it has the “structure” to stand up to scrutiny of “the ages”. I don’t know if Angel, quite frankly, is old enough to be termed a classic. It can be great, or outstanding. So I just honestly feel that nothing that I’m buying that’s be released now is a “classic” to they have potential? Well yes, but only time SHOULD tell. This is a great point, Kathleen- I can definitely see today’s women wearing Chanel No. 5, but I’m not sure I could see women from earlier time periods wearing Angel. I definitely wouldn’t think of it as timeless. I definitely agree about Bulgari Black. It’s become a signature for so many people. I think classics also have something to do with availability. There aren’t many perfume counters where I can’t find Chanel No 5 or Shalimar. What about Tom Ford Black Orchid, Chloe, or Flowerbomb? I have many girlfriends who feel Chloe is their main squeeze of perfumes. I don’t own Flowerbomb, but it’s maintained popularity. Black Orchid definitely qualifies for me- it’s fairly unique, it smells great, and it can be found at any Sephora. Flowerbomb doesn’t strike me as all that timeless, but if you’re defining classic as “influential” or “trend-setting”, then it definitely qualifies! Are you talking about the older version of Chloe or the recent one, Rebecca? The more recent Chloe edp. In general, I agree with Malle (and with Mals 🙂 ) but I think that there might be some perfumes out there that were created after Angel, are mainstream and still can be considered classics (or have a good potential to become that in future). I didn’t spend enough time looking for examples but I could think of one – Flower by Kenzo (2000). I cannot wear it, it’s not as revolutionary as Angel was but it’s not a bad perfume, it’s still widely available and popular, people keep buying it. Has it occurred to anyone that niche is the problem? Niche makers and buyers may have bled off the main market any tendency to experimentation and originality, so that, like broadcast tv and fm pop radio, all that is left is the lowest common denominator. I think Angel was distinctive as well as influential. I’m not sure I can think of a perfume since that is both. That’s an interesting point about niche having enabled the main market to avoid creativity and originality. Hopefully, there will be a swing in the other direction, as I am sure that the public really do not have an endless appetite for bland samey fragrances. The enduring popularity of Youth Dew, Angel, and No 5 are testament to that! Eau D’Issey is a classic, both distinctive and influential.